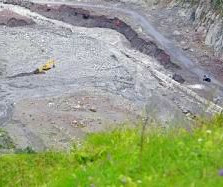 TBILISI, DFWatch–There are road restrictions all over Georgia due to bad weather, the Roads Department warned Thursday. 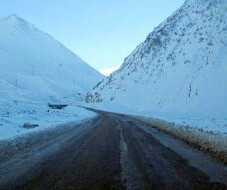 Trailers and semi-trailers are prohibited from driving between the 1km and 50km mark on the S-8 Khashuri-Akhaltsikhe-Vale road, which leads to the border with Turkey. Other vehicles are free to use this road. On a section of the S-1 Tbilisi-Senaki-Leselidze road from Natakhtari to Zestaponi, trailers and semi-trailers are not allowed to drive due to snow and ice, but there are no restrictions on other types of vehicles. The exact section this applies to is from the 27km to the 193km mark. There are restrictions for trailers and semi-trailers also on the Sh-22 Gomi-Sachkhere-Chiatura-Zestaponi road from the 1km to the 106km mark, due to heavy snowfall, wind, low visibility and ice. Other vehicles are allowed to drive. 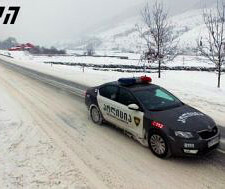 All vehicles are asked to use snow chains between Mleta and Kobi on the S-3 Mtskheta-Stepantsminda-Larsi road because of ice. Trailers, semi-trailers and vehicles with more than 30 seats are not allowed to drive between Khaisi and Ushguli on the Sh-7 Zugdidi-Jvari-Mestia-Lasdili road due to intense snowfall and ice. This applies to the section between 71km and the 188km mark. Other types of vehicles must use snow chains. Snow and ice on the road has also caused the Roads Department to ban trailers, semi-trailers and vehicles with more than 30 seats in the Nakerala pass along the Sh-17 Kutaisi-Tkibuli-Ambrolauri road, between the 36km and the 60km mark.